“Looming Shelter” is a site-specific, fiber centric collaborative that plays with questions of shelter, inclusion, and retreat, as well as exposure, scarcity, and consequence. Fiber and textile artists will respond to a monumental framework that provides structure but not content or context, and each artist will react in a way that reflects upon, challenges, and embraces what it means to seek shelter, how shelter is created, what is necessary, and what can be let go. The scaffolding itself serves as a symbol of the larger, defining community, while allowing space for individual artists to perform private gestures and commentary. Panels of woven, knotted, sewn, dyed, found, re-used, and rescued material will be attached to the sculptural wood frame. Visitors will be invited to walk through and around the structure, experiencing its liminal nature, while benches set into the scaffolding's base will offer a perch from which to observe and ponder. Desert X® opens February 9th and runs through April 20th. More info on Desert X can be found here. SATURDAY, april 20th 12 noon - 3 p.m. Please join us in the scenic high desert / mountains of Palm Desert for the closing reception of “Looming Shelter” – the first installation / exhibit coordinated by Textile Arts LA! We’re beyond thrilled to be included in Desert X’s parallel project programming. The landscape is breathtaking; and if it is windy and cold we can pop inside for hot chocolate at Makerville’s converted Elks Lodge! The installation is on the grounds of Makerville, a 15 mile / 20 minute drive south of Palm Desert, CA just off State Highway 74. 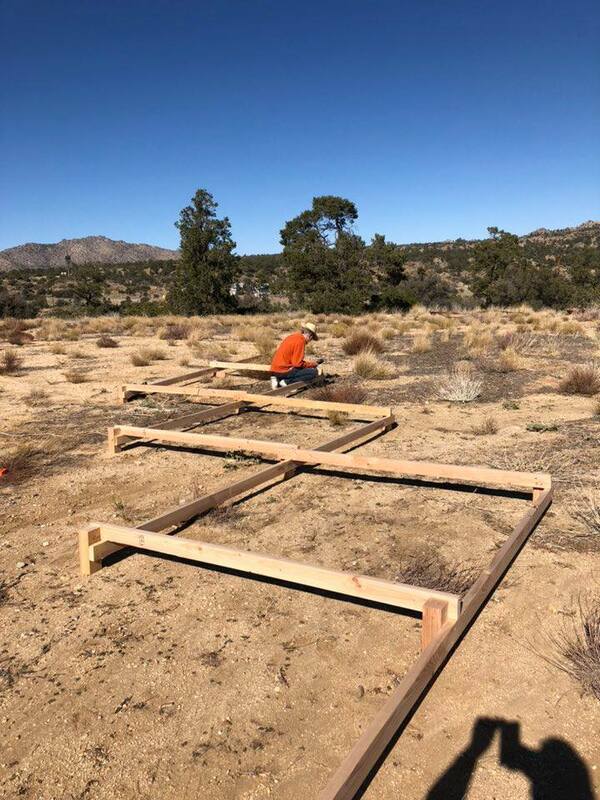 The property is accessed on paved roads and is adjacent to the Sawmill Trailhead Parking Lot on Pinyon Flats Transfer Station Road. Proceed to the back of the parking lot to a metal gate. Continue through the gates to the former Elks Lodge that is now the home of Makerville and the Palm Springs Center for Creativity and the site of Looming Shelter!